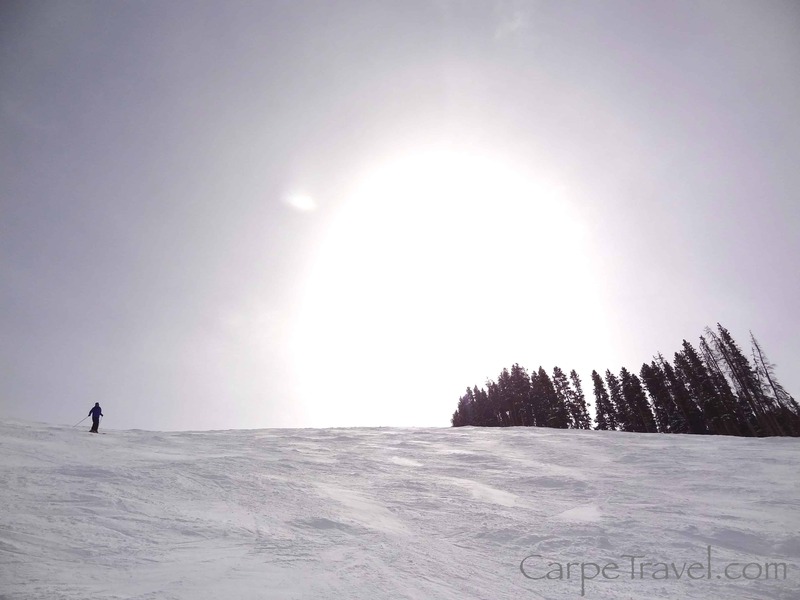 It’s that time of year again here in Colorado – ski season! The champagne powder has begun doing its magic in the high-country and the locals her in Colorado are gearing up for an epic season – including me! 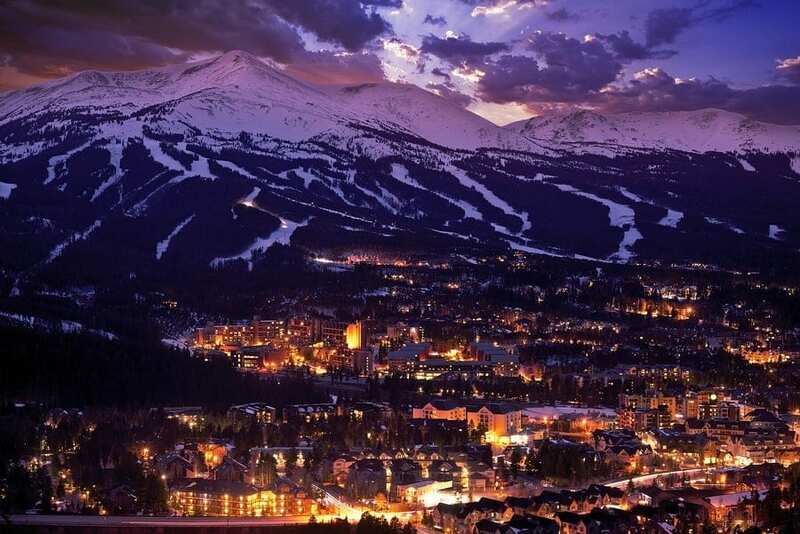 To get things started – and to celebrate Breckenridge opening for the season – I felt it necessary to share some fun facts about one of America’s favorite ski resorts. These fun tidbits might just help break the ice when you’re riding up the lift. 1. 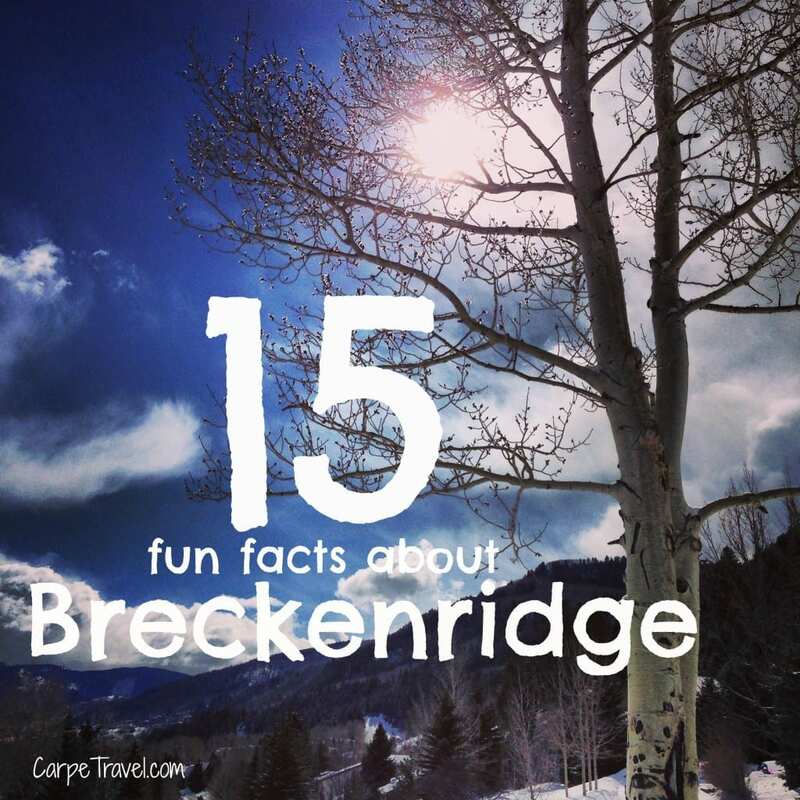 Breckenridge was founded in 1859 by a small group of prospectors who struck it rich when they discovered gold along the Blue River. Like so many other Colorado mountain communities, this drove a Gold Rush in the area resulting in the development of the town. 2. The town of Breckenridge is only 7 miles long and 2 miles wide, yet it’s currently home to 76 restaurants and bars. 3. When the town was originally founded, it was spelled BreckINridge in honor of the Vice President at the time. (The people in town were angling to use this “honor” to get a local Post Office…and it worked.) Two years later that Vice President took sides with the Confederate Army when the Civil War broke out. The townspeople didn’t like this so they changed the spelling to BreckENridge. 5. In 1960 the population in Breckenridge dwindled down to less than 400; people feared Breckenridge would fall off the map – again. But when the ski area opened in 1960, the population soared and today it’s over 3,500. Skiing truly brought new life and industry into Breckenridge. 6. 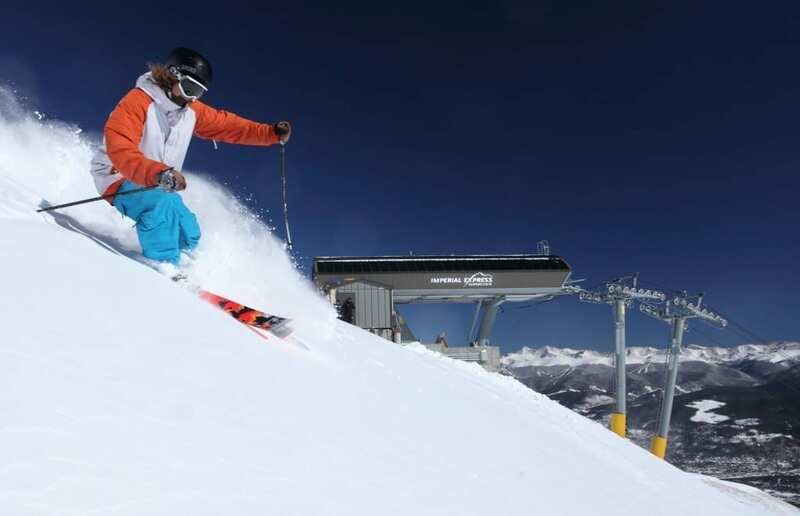 The first Breckenridge ski area to open was Peak 8 in 1960, followed by Peak 9 in 1971.Today Breckenridge is home to Peak 6, 7, 8, 9, 10 (Peak 6 opened in 2013). 7. Breckenridge became Colorado’s first major resort to allow snowboarding in 1984, followed by Steamboat Springs and Vail in 1987. 8. The three most-visited ski resorts in America’s are: No. 1 Vail Mountain, No. 2 Breckenridge Ski Resort, No. 3 Keystone Resort. 10. More than 1.5 million people come to Breckenridge to ski each year. Another 1.5 come to enjoy the summer activities. 13. 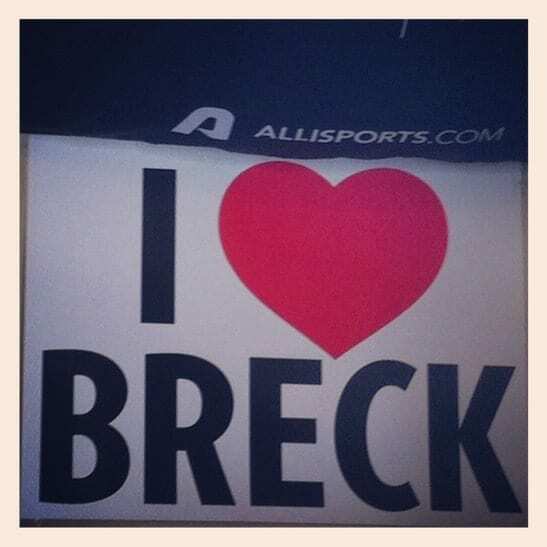 Want to taste a little of Breck’s past? 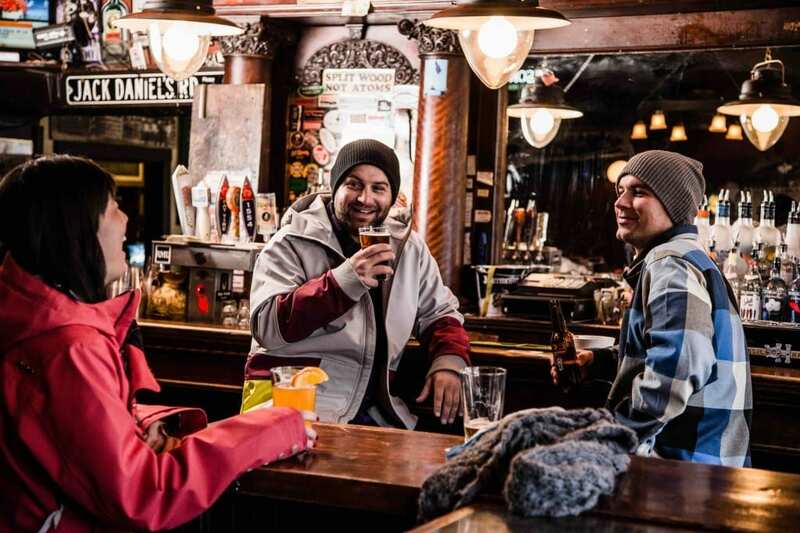 Grab a drink at the Gold Pan Saloon, a popular “drinking hole” from back in 1859, which is still pouring today. The Gold Pan Saloon is one of the oldest running pubs in the country. To be more exact, the Gold Pan Saloon is the oldest operating (oldest continuous liquor license) saloon west of the Mississippi. 15. It’s all about the number 300 in Breckenridge. The town enjoys 300 inches of snowfall and 300 days of sunshine per year (on average). Learn anything about Breckenridge here? Pass it along – sharing is caring! And if you’re planning to visit Breckenridge soon, you can learn more about its history by joining a group historical walking tour through the Breckenridge Welcome Center and Museum (203 S. Main St), they also offer information for visitors to conduct a self-guided tour. If I ever get to go to CO, I will def try to go to visit Breckenridge. There is so much to see and do in Colorado! Hope you are able to make it here one day. You are making me want to go! Have yet to check out Colorado. Wow, Breckenridge seems like the perfect place to go skiing! Being from Norway I love skiing and do it a lot when I am home. I can`t believe that more than 1,5 million people visit this place every year to go skiing! Would love to visit Breckenridge some day! It seems like a cozy town too. It’s very much the “cozy” town but with a lot of things to do – even besides skiing. Even if you don’t make it in the winter, summer in Breck is an experience. I’m more of a warm weather traveler but loved your details about Breckenridge. Ski towns are also fun to visit in the summer, I’ve discovered. Would love to see the historic buildings and indulge in some tastings in town. It’s such a great place to visit in the summer and so many fun things to do. Hope you get out here one day! I’ve never tried skiing before, but love Colorado. Hopefully if I ever get a chance to hit the slopes, I can do it in one of my favourite states! I remember friends going to Breckenridge to ski every spring break when I was in high school. I missed so many opportunities to go back then because I didn’t like the cold. No regrets, but I wish I would have went. Living a nomadic life, and traveling the U.S., it’s definitely on my list of places to visit now. The photos with this piece are gorgeous. Gosh I would really love to ski at Breckenridge! Thanks for the lowdown! We’ve been talking about taking a ski trip to Vail. Loved hearing all the history on Breckenridge. Funny the townspeople changed the spelling of the name! Thanks for sharing and making us want to go even more! Breckenridge is awesome. That’s for sure. I love learning new trivia facts, because I feel like it makes me smarter. However, I have never come across any about Breckenridge, but these would be good to know as I will be going there in December with my family. However, I had no idea that it was the first place in Colorado to allow snowboarding. Why do you think that other places around Colorado didn’t allow that sport?